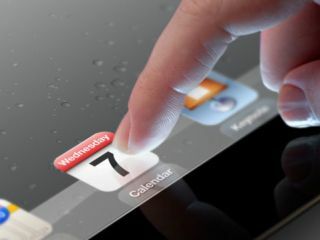 The new iPad 3 bested sales records for Apple and partner network AT&T, both companies said on Monday. During Apple CEO Tim Cook's cash-focused conference call on Monday morning, he revealed the company had a best-ever first weekend as iPad fans flocked to retail stores around the world. While Cook bragged of "a record opening weekend," he stopped short of revealing exactly how many iPad 3 devices the company shifted. Meanwhile, US network AT&T is also pleased with the performance of the new iPad, quoting record single-day sales and activations. In a brief press release, the carrier said: "On Friday, March 16, AT&T set a new single-day record for its iPad sales and activations, demonstrating robust demand for the new iPad on the nation's largest 4G network, covering nearly 250 million people." Like Apple, the company didn't publish sales figures or say exactly how many of those activations came with 4G LTE contracts compared to 3G users. UPDATE: Apple has issued a press release revealing it sold three million new iPads across the first three days. Phil Schiller, Apple's senior vice president of Worldwide Marketing said: "The new iPad is a blockbuster with three million sold-the strongest iPad launch yet. "Customers are loving the incredible new features of iPad, including the stunning Retina display, and we can't wait to get it into the hands of even more customers around the world this Friday."